Happy Friday, Friends! Well, Mother's Day is a little over a week away! Y'all know how much I love to coordinate outfits with Madeline. 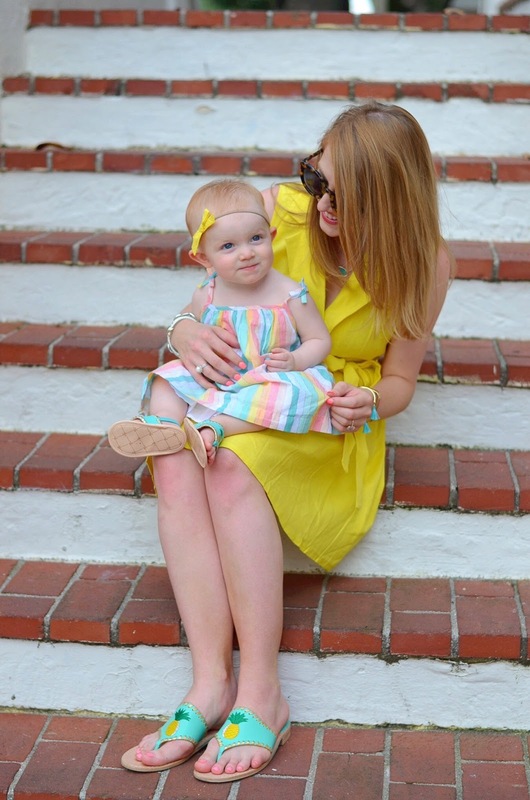 To me, there are very few things cuter than teeny tiny baby Jack Rogers. 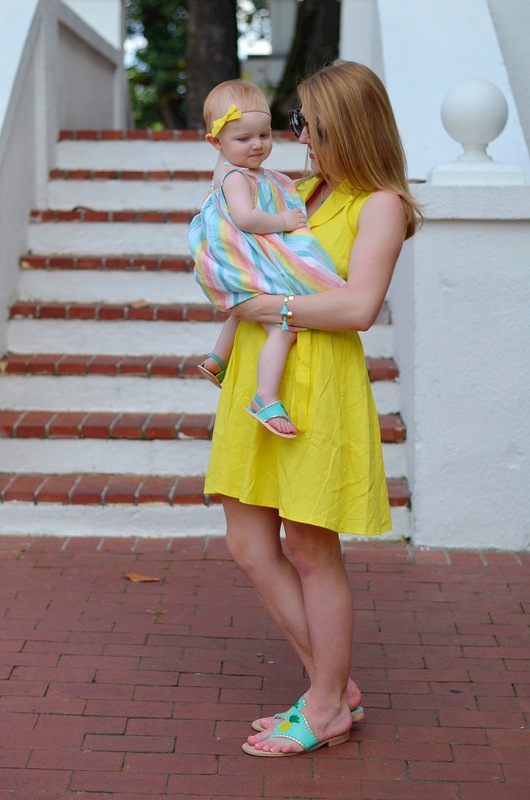 They absolutely melt my heart (along with baby swimsuits). 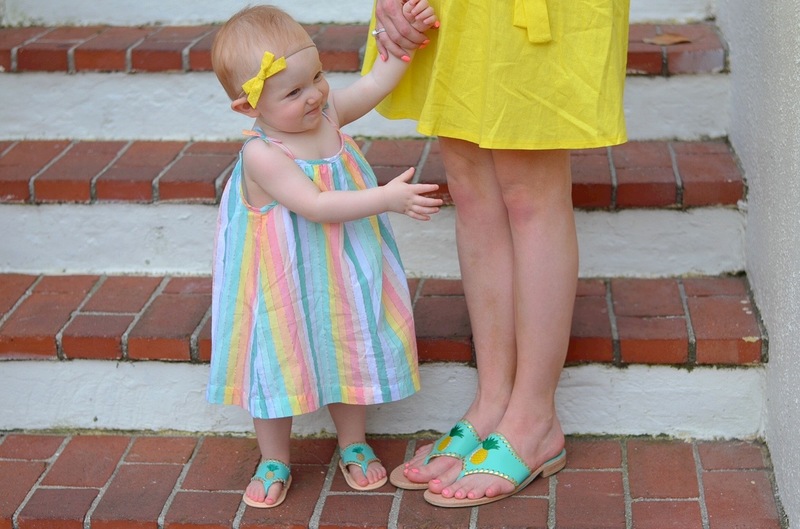 I adore having matching sandals with Madeline. 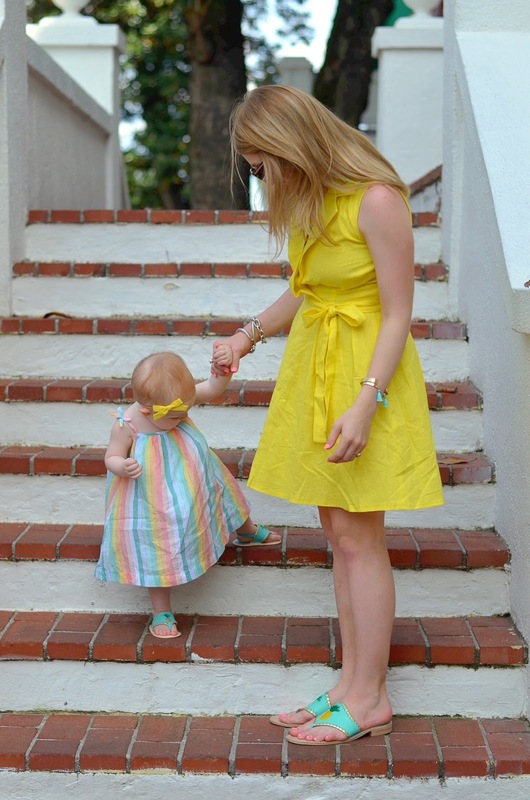 I can't imagine a cuter Mother's Day present than a pair of Jack Rogers to match with your baby. 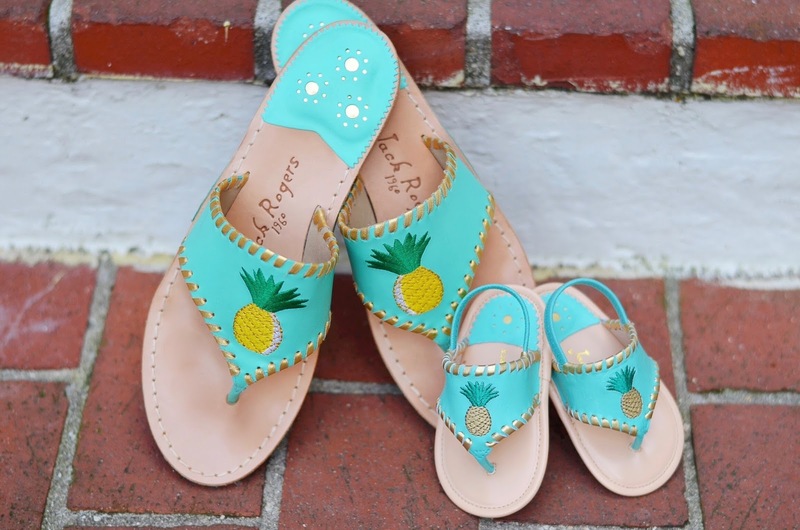 So if you're still trying to find the perfect gift for Mom or Mamas, if y'all are looking for a hint to pass along, you can never go wrong with a pair of Jacks. Also, I just wanted to talk about this dress for a second. It is such an easy go-to dress (I feel like that's all I shop for these days haha). It also comes in navy. Andddd it't only $57! Be sure to size up one size as it runs small. 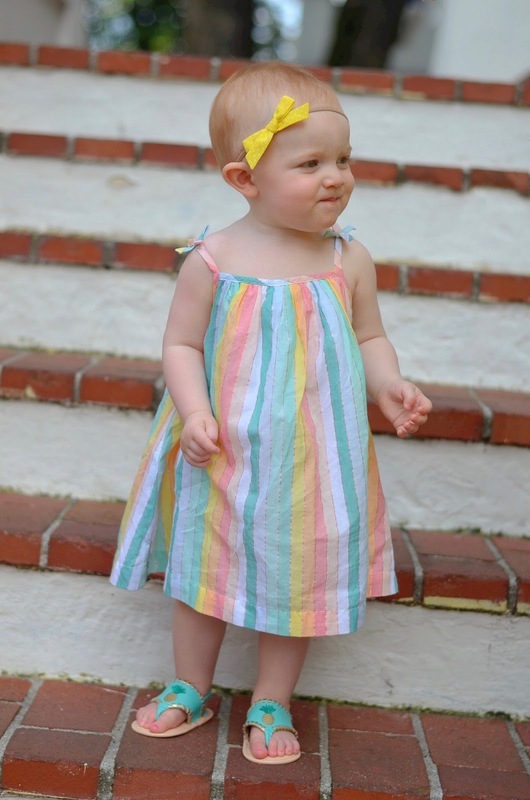 And Madeline's little dress is just the cutest thing. Baby Gap has some of the most adorable pieces out for babies right now. I had to get Madeline this one, this one, and this one. And don't get me started on their jammies for babies! I love your dress! It's super adorable that the two of you have matching Jacks! Have a happy Mother's day!